Last March, Democratic National Committee Chair Debbie Wasserman Schultz named longtime operative Raul Alvillar as the party's new political director. 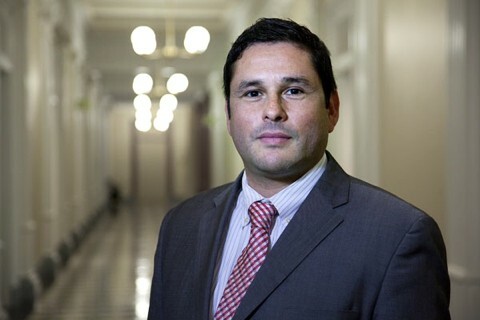 Alvillar, the first Latino to serve in the position, is also openly gay. He previously worked for Vice President Joe Biden and served as interim LGBT liaison for the White House for three months in 2011. Alvillar also worked on the Obama campaign in 2008 and for the John Kerry campaign in 2004, according to a story about his appointment in The Washington Blade. “Growing up LGBT in a small town, you didn’t talk about it,” Alvillar said. “Especially as a Hispanic male, there’s this expectation that you will have a wife and three kids and a minivan … That’s just how I grew up. Not knowing any other folks who were gay, you kind of feel like it’s not a ‘normal’ thing.